rajgira kheer is a simple easy dessert pudding made with amaranth grains. 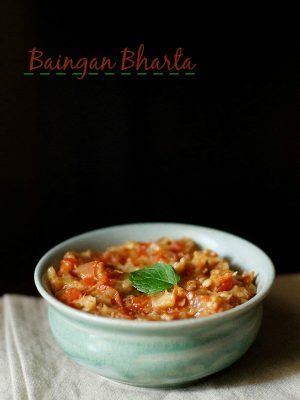 navratri recipe. rajgira kheer recipe with step by step photos – simple, easy dessert made with ramdana/rajgira or amaranth grains. 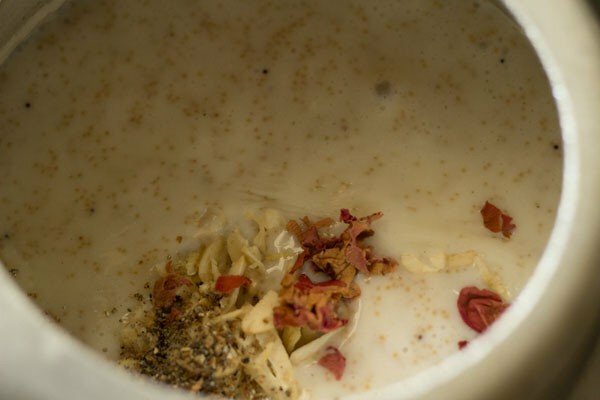 this is one of the most tastiest kheer, i made with amaranth. unlike other kheers or puddings which are smooth to the palate, this one has a crunchy texture. 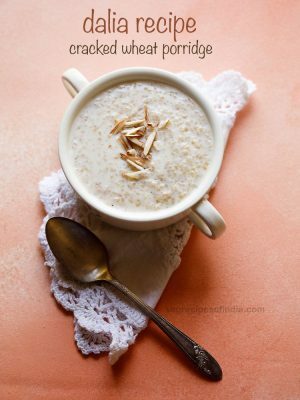 this crunch comes from the amaranth grains and it this crunch that does make this kheer different from other kheers. i make this kheer similar to the samvat rice kheer (barnyard millet pudding) i prepare. 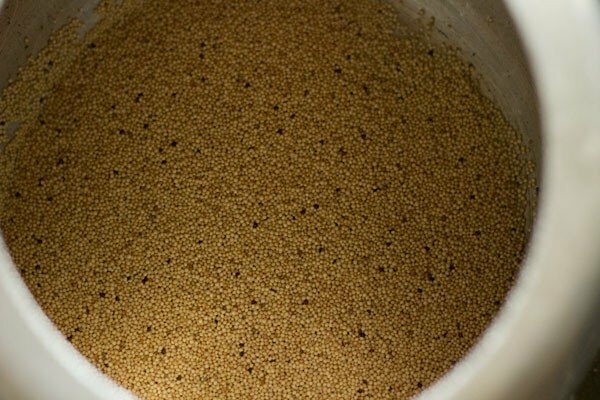 here, i have cooked the amaranth grains in a pressure cooker to save time. however, you can also cook them in a pan. it will just take about 25 to 30 minutes for them to cook in a pan. 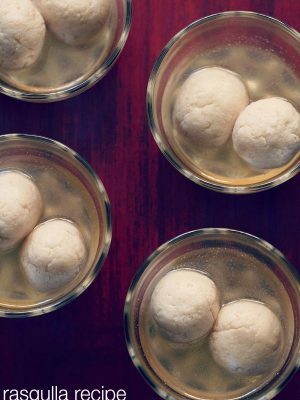 do try this sweet dessert for navratri and you will love it. 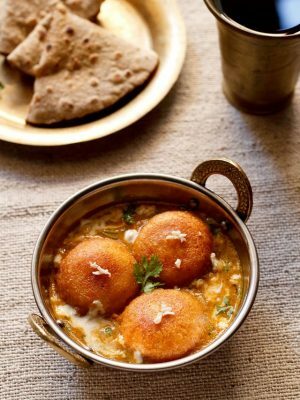 serve amaranth kheer plain or with some rajgira pooris or singhare ki poori. you can serve this kheer hot, warm or chilled. if you are looking for more navratri recipes then do check rajgira paratha, makhana kheer, sabudana kheer, samvat rice kheer, sabudana khichdi, vrat ke chawal ka pulao and raw banana kofta recipe. 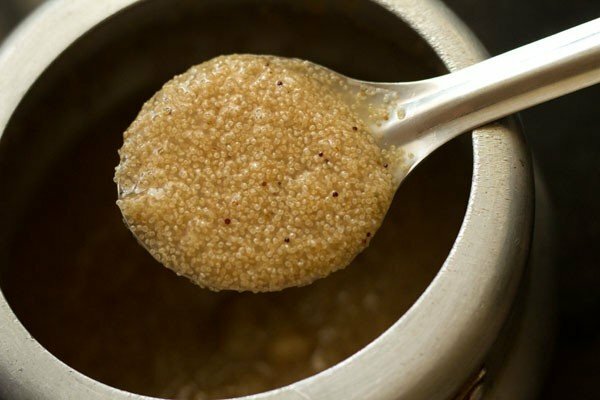 rinse 1/3 cup amaranth grains in a fine meshed seive or strainer. you can also add them directly in the pressure cooker if you want. pressure cook the grains on a medium flame for 3 whistles or for 9 to 10 minutes. once the pressure settles down on its own, open the lid of the cooker. now add 1 cup milk in the cooker. keep the cooker on stove top on sim or low flame. 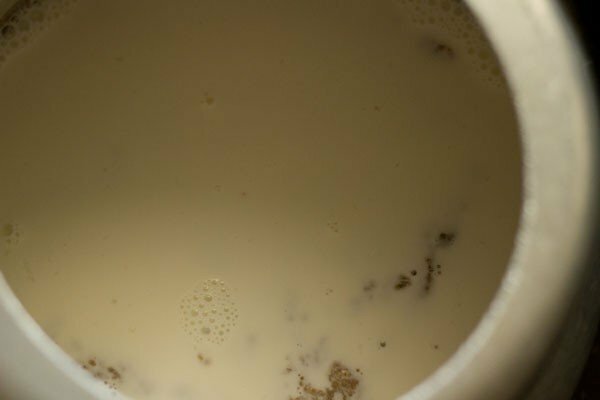 stir the milk and the cooked amaranth grains mixture very well. simmer on a low flame for 6 to 7 minutes. do keep on stirring at intervals so that the kheer does not stick or get browned from the base. add 4 to 5 tbsp sugar. stir again and simmer the kheer for 2 minutes more. lastly add 4 to 5 tbsp sliced cashews or almonds, 1/2 tsp cardamom powder, 7 to 8 dried rose petals, chopped (optional). you can also add raisins and crushed saffron. stir again. 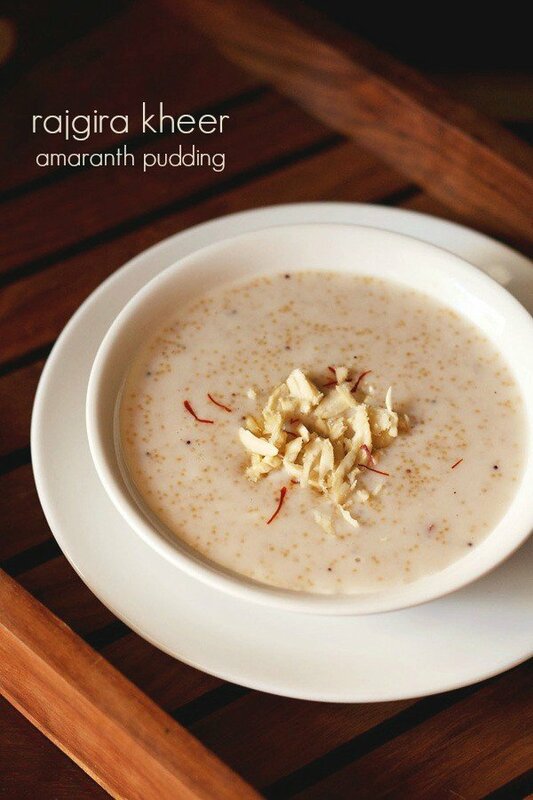 serve amaranth kheer hot or warm or chilled. once the kheer comes to room temperature, you can chill it in the fridge. 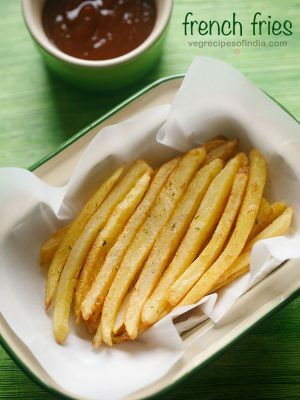 you can garnish with some saffron strands or sliced almonds or cashews, while serving. 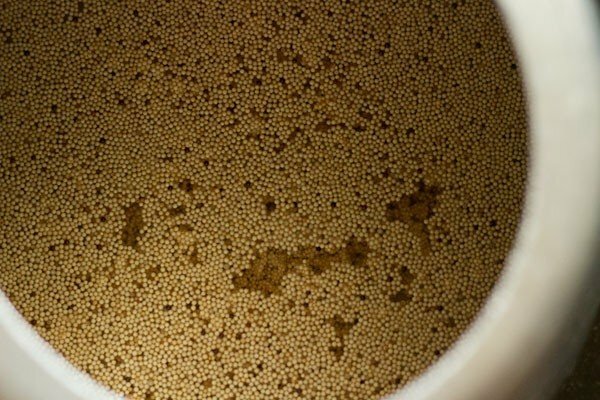 1. rinse ⅓ cup amaranth grains in a fine meshed seive or strainer. you can also add them directly in the pressure cooker if you want. 2. then add 1.5 cups water. stir very well. 3. pressure cook the grains on a medium flame for 3 whistles or for 9 to 10 minutes. once the pressure settles down on its own, open the lid of the cooker. 4. now add 1 cup milk in the cooker. 5. keep the cooker on stove top on sim or low flame. 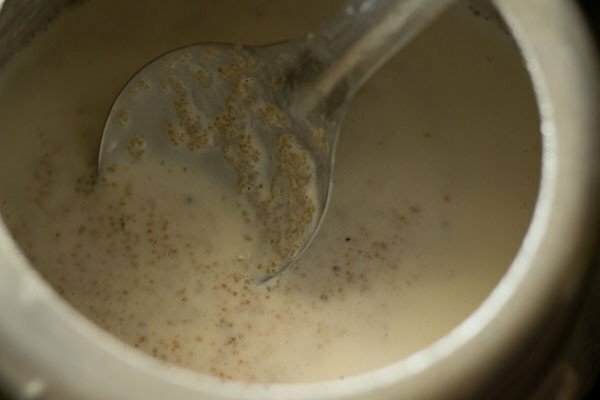 stir the milk and the cooked amaranth grains mixture very well. simmer on a low flame for 6 to 7 minutes. 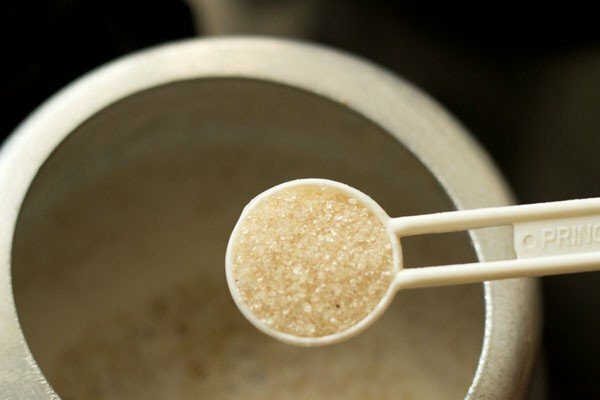 do keep on stirring at intervals so that the kheer does not stick or get browned from the base. 6. add 4 to 5 tbsp sugar. stir again and simmer for 2 minutes more. 7. lastly add 4 to 5 tbsp sliced cashews or almonds, ½ tsp cardamom powder, 7 to 8 dried rose petals, chopped (optional). you can also add raisins and some crushed saffron. 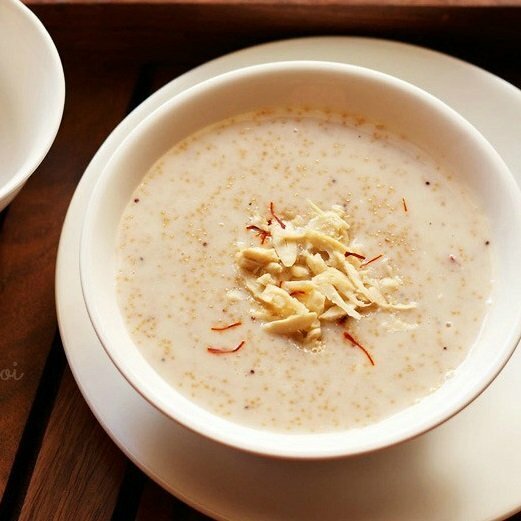 serve amaranth kheer hot or warm or chilled. once the kheer comes to room temperature, you can chill it in the fridge. 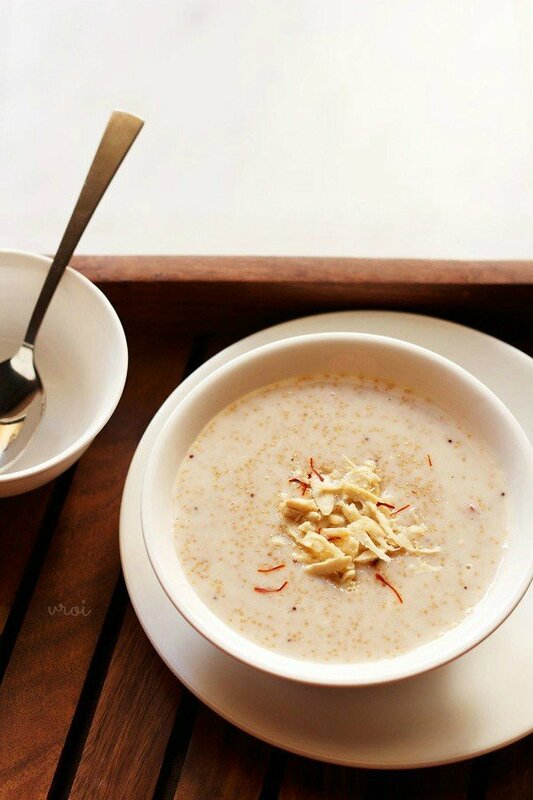 you can also garnish the rajgira kheer with some sliced almonds or cashews or saffron. 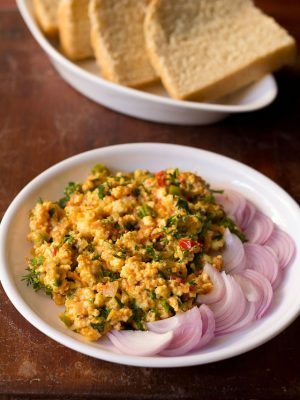 Can we eat moong dal during navratri fast? 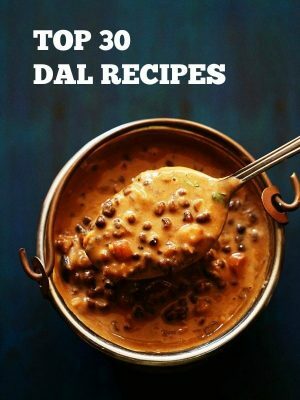 no lentils can be consumed during navratri and that includes moong dal also. I tried your vegetable paratha. hey rejni pleased to know your kids liked the vegetable paratha 🙂 thankyou. Dasanna recently only I started looking at ur recipes. 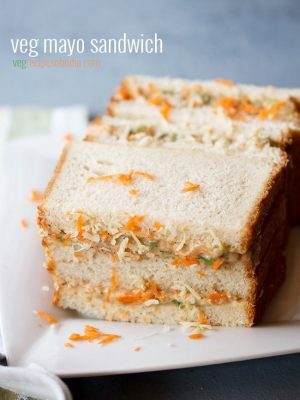 Ur simply amazing.u made cooking soo easy.i really appreciate ur efforts for posting each and every step in pics.thanku soo much for ur recipies and I evn started trying them.they are simply awesome in taste.thank you soo much for sharing wonderful recipes . pleased to know this bhanu thankyou so much for your kind words 🙂 and god bless you. Was waiting for navratri recipes and now it is . Was wondering why there isn’t any navratri recipe when navratri is gonna start. 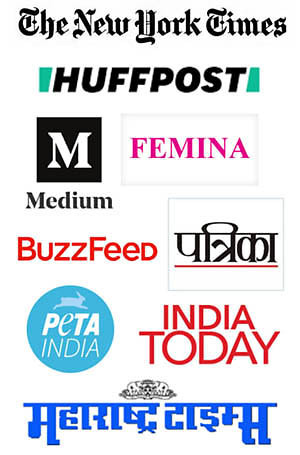 harsimrat, we have a big collection of navratri recipes already posted.